In 2001, Jackie had the idea to put together a video to inform fans about his important charity work. Since then, Jackie has shown his Three Dreams video at charity concerts, fan club parties, auctions, fundraising events - wherever there are groups of people gathered together. The video highlights Jackie's charity work and features film footage from all over the world. When people watch the video, they learn a lot about what's important to Jackie and often end up making donations to his charities because of what they've seen. 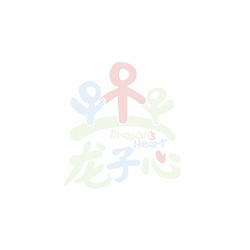 Now Jackie has an idea to make another special video; this one will be about the Dragon's Heart Foundation's Build a School for a Dollar project. And he wants you to help. Make an Audio Recording describing your involvement with the Build a School for a Dollar project. Jackie wants to know why you're helping and how it makes you feel to be a part of this special project. The audio recording should be in digital form (.mp3 or .wav file) and should be about 10 to 15 seconds in length. When you make the recording, please be sure that you do it in a very very quiet room so that background noises do not interfere. Just speak from your heart and tell Jackie how you're helping and why you're helping. After you are finished, send your recording to us via email to jckids@jackiechan.com. If you record your message in a language other than English, please send along a translation. Make a Digital Video Recording of yourself creating a Build a School for a Dollar donation drawing. The video recording should be about 30 seconds long and should show you drawing or engaging in another activity for the Build a School for a Dollar project. Try to pretend that the camera is not there so it looks like Jackie is just "peeking in" at your activities. Remember to be sure and make your video in a quiet place with lots of light. See below for a few tips on making great videos of kids. Although Jackie knows that many adults have played a big part in raising money for the Build a School project, he would like to feature only children around age 13 or younger for this video. There is no deadline for sending in recordings, but Jackie would like to make the video as soon as possible so he can show as many people as he can. The sooner you send it in, the more likely that we'll use it. So send us your recording and become a permanent part of Jackie's Build a School for a Dollar video. Upon receipt, all audio and video recordings will become the sole property of The JC Group and no tapes will be returned. Get down to the child's eye level or a little bit above. Don’t zoom in and out or pan around too much. Fill the frame with your subject (in this case, the child and his drawing activity). Try not to talk to the child while you're taping. Just let him draw (and hum or smile to himself or whatever). Use a tripod or hold the camera very steady. If you'd like to make any size donation online, please click here and choose "Dragon's Heart Foundation" from the drop down menu.